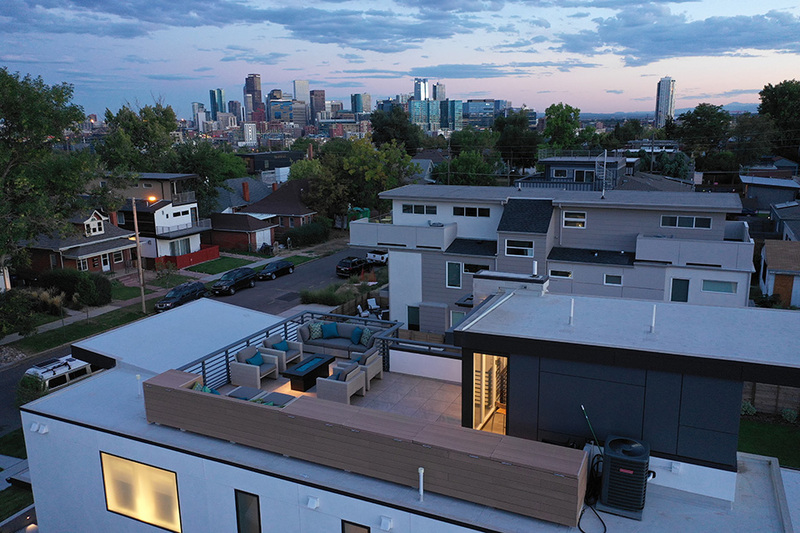 The Boundless house was designed to merge into it's traditional Denver neighborhood. 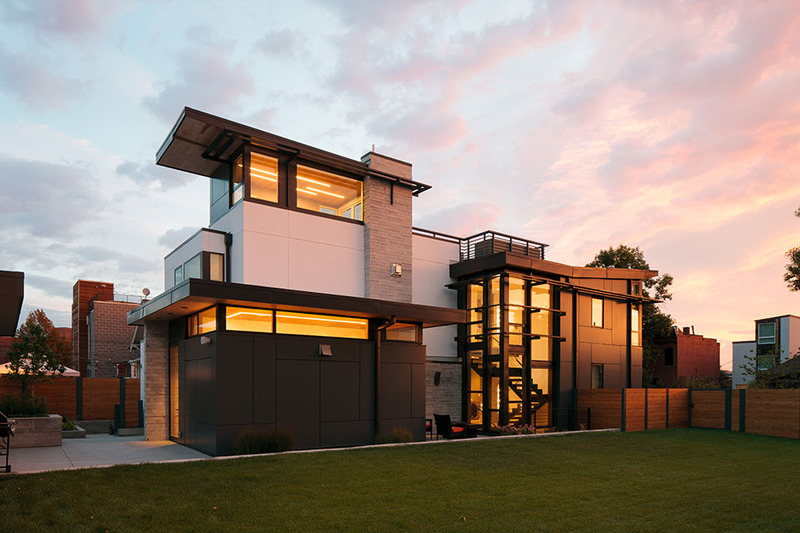 Its design encourages movement through the house horizontally to the outdoors and vertically from the basement to the rooftop deck. The stone work on the house is a nod to the traditional brick construction found within the surrounding neighborhood. Stone walls guide your path as you proceed to the entrance of the home. A sense of shelter is conveyed on the exterior of the home in the design of the roof.